Volunteer & Sponsor Appreciation. Board of Supervisors Election. Banquet & Awards Ceremony. We look forward to seeing you at our 74th Annual Banquet and an evening to celebrate community conservation. The evening includes our Board of Supervisors election and a Volunteers & Sponsors Appreciation Reception in addition to the Annual Banquet & Awards Ceremony. All are open to the public. There is no cost to attend the reception or participate in the Board of Supervisors voting. We do ask that you RSVP below if you plan to attend the reception. There is a cost of $25 per person to attend the banquet and awards ceremony. Banquet tickets can be purchased below. Those of you purchasing tickets to the banquet are automatically included as a reception guest. We are celebrating you – our wonderful volunteers and generous sponsors! With your time and support, Soil & Water gave hundreds of seedling trees to students, helped clean thousands of pounds of trash from streams and rivers, trained volunteers to monitor our waterways, as well as educated the public at the Hartford Fair, festivals and community events. Enjoy complimentary appetizers and cash bar. We even have a special gift to present to those who spent time volunteering throughout the year. 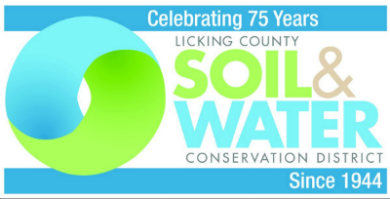 Soil & Water has a five-member Board of Supervisors elected by landowners and residents of Licking County. As unpaid Public Officials, the Board members are responsible for conducting business within the scope of the laws and administrative rules. Board members also help guide Soil & Water’s mission with professionalism, efficiency, and effectiveness. Two Supervisors will be elected to a 3-year term commencing on January 1, 2019. The top two candidates with the most votes will be announced at the end of the Annual Banquet on November 7, 2018. The Soil & Water office has promoted conservation of natural resources through local leadership, education and technical assistance since 1944. Awards will be presented to those who have gone above and beyond to help the land as Cooperator, Volunteer, and Educator of the Year. Local FFA Soil Judging competitors will be recognized as well. Buffet dinner includes carved roast beef, tender chicken breasts, herb roasted potatoes, green beans, salad and rolls. Apple and pecan pies will be served for dessert.